Helicopter equipped with Air conditioning and Emergency Floats. 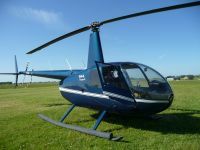 The helicopter is in good conditions, immediately available, inspection is possible with test flight. Prior meeting by telephone or e-mail, provide all documentation requested by the interested parties (general Pdf, MCS remaining), and price request. Visit the website helipromotion.com is always updated with direct download for general information. Helipromotion Swiss has many years of experience in shipping aircraft all over the world utilizing both air and sea freight. We take great care in ensuring your aircraft arrives safely and securely at its destination.